Many professionals were surprised to read Gallup’s 2013 workplace poll report, which indicated that people preferred workplace happiness to high pay. A study undertaken at Wharton on the influence of compassion and understanding at workplaces indicates that positive emotions at the workplace, not just impact employee productivity but also influence client outcomes and increase customer satisfaction. People centric managers (remeber DiSC styles? ), bring positive emotions to workplaces. The adjective “soft” for a manager though may not sound too great; but businesses today favour managers who put people first. Effective managers require to drive teams with a sense of purpose, an inspiration to achieve, and should be able to win the trust of people to get them to work towards this cause. 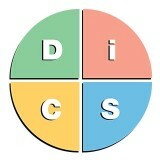 So what kind of a DiSC personality type would be people centric? 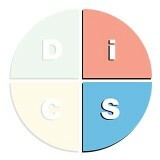 A manager with an I/S personality style would be classified as a “soft” manager in DiSC profiles. For such managers, people matter more than the bottom line. 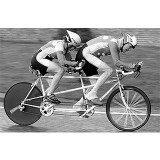 They are sensitive towards the fact that people would require positive feedback and encouragement to reach their goals. They are accommodative, flexible and would create a cordial environment within their teams. They are highly energetic, optimistic of success and always upbeat about tackling problems innovatively. DiSC profiles indicate that their mantra to success is people focus! It might be easy to work with a “softie”. But a “soft “manager would often forget that his primary task is to attain objectives, stick to deadlines and keeping his people happy is only the means to get there. In their urge to be sociable, people centric managers are uncomfortable pointing out mistakes or correcting task failures. The enthusiasm that a people centric leader exudes would be difficult to match and such people would not be very great listeners preferring to talk more than listen. The other thing that irks a “softie” is lack of recognition. If you do not acknowledge and praise them or give them importance, they may start behaving like an overly pampered three year old. They are not confrontational and would prefer to ignore problems than address then face to face. The above traits, in a professional environment may not be conducive when it comes to achieving outcomes which have strict deadlines or require detail orientation. 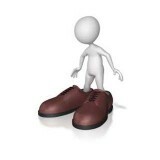 When the outcomes have greater focus on goals that may be time dependent, then people centricity may not work. You may require looking at the tasks at hand, accomplishing tactical work such as achieving goals, solving problems, planning, creating innovations, maintaining productivity, and making the right decisions. Where action and detail orientation is crucial, talking to people, taking their suggestions and trying to make things comfortable for everyone may not be ideal. There is no single personality style that fits the bill. Although most managers would use a combination of of styles depending on the situation, many have a preferred style — generally one that has produced desirable outcomes in the past. So which is the right style? Want to know more about DiSC Assessments? Are you looking to gain an Internationally recognized DiSC Trainer Certification using Everything DiSC Workplace Assessment? Do you want to purchase EPIC Credits at best prices? Call us, write to us or connect to us on skype: discprofiles. We guarantee best prices for EPIC credits. Previous story Are you a Tough Manager?